Homeschool parents often stress over the idea of teaching subjects or skills at which they struggle. For some, the idea of teaching algebra or chemistry may seem overwhelming. Others may find themselves scratching their heads as they wonder how to homeschool music instruction or art. In this article, we'll discuss some practical ways to offer music instruction to your homeschool students. First, you need to decide what kind of music instruction you wish to teach. Music Appreciation. Music appreciation teaches students about various types of music and often includes a study of composers and musicians and the various periods in musical history. Students may learn music terminology and be introduced to a variety of instruments, investigating the instrument's sound, type (such as woodwind or brass), and the role each instrument plays in an orchestra if applicable. Vocals. Music isn’t just playing an instrument. Vocals play an important role and you may discover that you have a student who loves to sing, but who has no desire to learn to play an instrument. Instrument instruction. Do you have a student who wants to learn to play an instrument? Consider what instrument he’d like to learn and the type of music he’d like to play. While the basics of a particular instrument may be the same, your search for an instructor will likely be influenced by the type of music your student ultimately hopes to perform. A classical guitar instructor may not be the right fit for your student who wants to start a rock band. Music theory. Music theory could be loosely defined as the grammar of music. It’s understanding the language of music – understanding the meaning and function of musical symbols. If you play a musical instrument, you can easily include that instruction in your homeschool. However, if you’re not musically-inclined, there are many options for securing music instruction for your children. 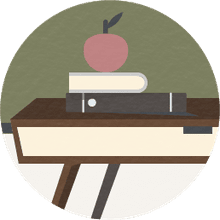 Ask around in your homeschool group – There may even be talented homeschooled students who will teach lessons at a more economical rate than a professional instructor. Relatives or friends. If you have relatives or friends who play an instrument, see if they’d be willing to teach your children. This could be an excellent way to get grandparents involved in your homeschool. Friends might be willing to provide music instruction in exchange for you teaching their children a subject at which they struggle, but you excel. Homeschool and community music groups. Some communities or larger homeschool support groups offer children's choirs and orchestras. My children took a recorder class for 5 years from an instructor who taught weekly classes for homeschooled children. There were also classes taught through the YMCA. Online lessons. There are many sources for online music instruction for homeschooled kids. Some sites offer videos and downloadable resources, while other instructors work one-on-one with students via Skype. YouTube is also an excellent source of self-paced lessons for a variety of musical instruments. DVD lessons. Another popular choice for home-based music instruction is DVD lessons. Look for titles sold online or at music stores, such as the Learn and Master series, or check your local library. Our area offers a homeschool band, which is instructional and orchestra-style. Participation includes performances at local venues. Make it a homeschool elective. There are some fantastic homeschool curriculum options for music appreciation, such as Music Appreciation from Zeezok Publishing or A Young Scholar’s Guide to Composers from Bright Ideas Press. Listen to music. Yes, that should be obvious, but we often overlook the simplicity of just listening to music. Choose a composer and borrow a CD from the library or create a station on Pandora. Listen to your chosen composer’s music during lunch or dinner, while driving in the car, or during your family’s quiet study time. Your children may even enjoy listening to it as they drift off to sleep at night. Tie music into history or geography. As you study history, do a little research to see what type of music was popular during that period of history. Search out samples of the music online. You can do the same with geography, researching and listening to the traditional – or even contemporary – music of the places you’re studying. 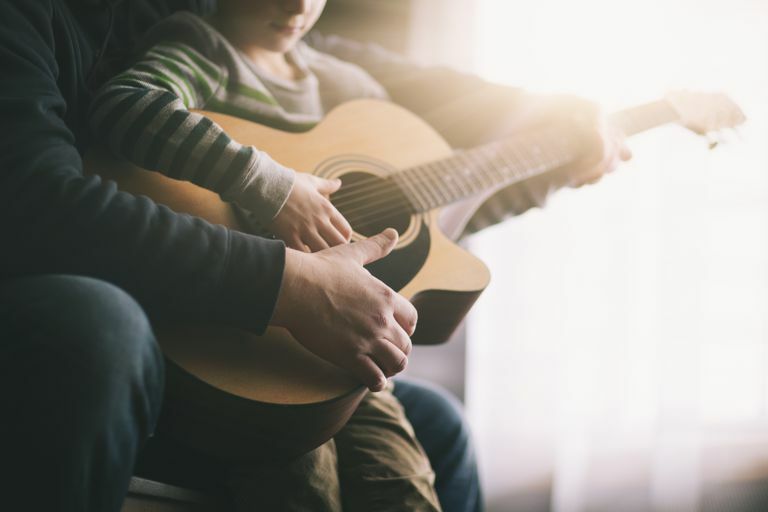 Thanks to the wealth of information available on the internet, there are many free quality resources that you can access to supplement your children’s music instruction at home. Classics for Kids features a new composer each month and a weekly audio show about the month’s composer. Students can download a monthly activity sheet, take weekly quizzes, listen to the composer’s music, or play games to further their musical knowledge. The site features an interactive composers map and book resources for further study. San Francisco Symphony Kids’ Page offers online games and resources for kids to learn more about the world of symphonic music. Dallas Symphony Orchestra Kids’ Page offers games, activities, a musician spotlight, and interactive lesson plans. Carnegie Hall features games and listening guides. Online Music Theory Helper features an assortment of lessons to instruct students in music theory. Intro to Music Theory is another site with a wealth of information about music theory. Homeschooling music instruction isn't difficult once you know what you want to teach, where to find instructors or resources, and how to easily include music in your daily homeschool routine.